I’ve been thinking it was about time to increase the focus on music related design around these parts. I’ve made the odd post that touches on it in the past, but lately they have been a bit scarce. So today I’m going to add the first of a new series of posts that focus on gig posters. I’ve always been a fan of the art form and there’s a ton of talented artists out there pumping out some great work. So it only seems logical to give their work some respect. I should also mention that my hombre James has provided some great inspiration for these posts. He’s been doing a great job bringing some attention and respect to the world of movie posters over at Signalnoise.com. Kicking things off is a sacrifice to our satanic overlord courtesy of UK doom merchants Electric Wizard. 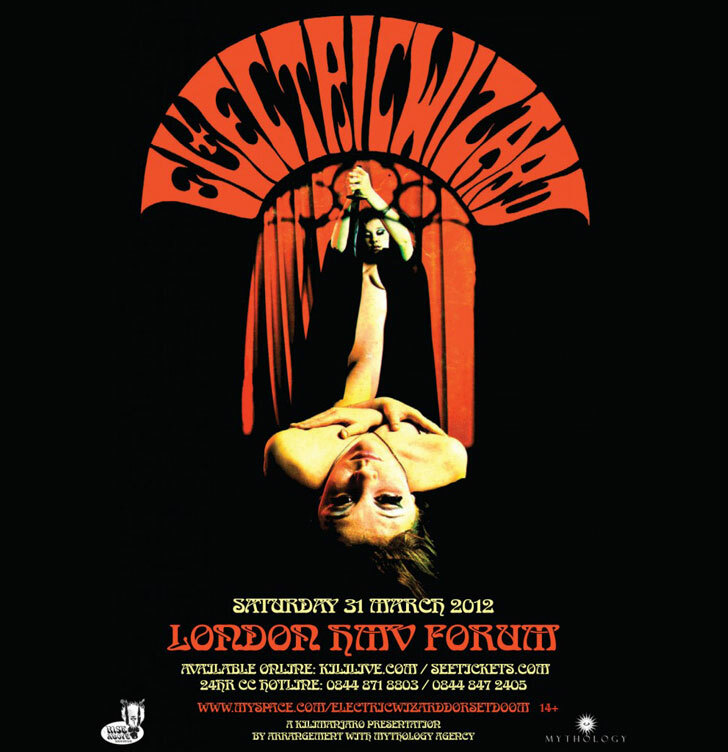 I have no idea who designed the above poster for their upcoming March 31st show in London. But anything involving 70’s occult imagery gets my seal of approval. You’d be hard pressed to find a living room that wouldn’t look amazing with that hanging front and center. Is this poster available to purchase anywhere? I need to have it. I haven’t come across anywhere where you can buy it. If I do, I’ll update the post with anything I find out.